Spring is here and there is lots of activity in the garden. Blackbirds are nesting and have chicks already (sadly no camera on this nest) and lots of other potential nests on the way. 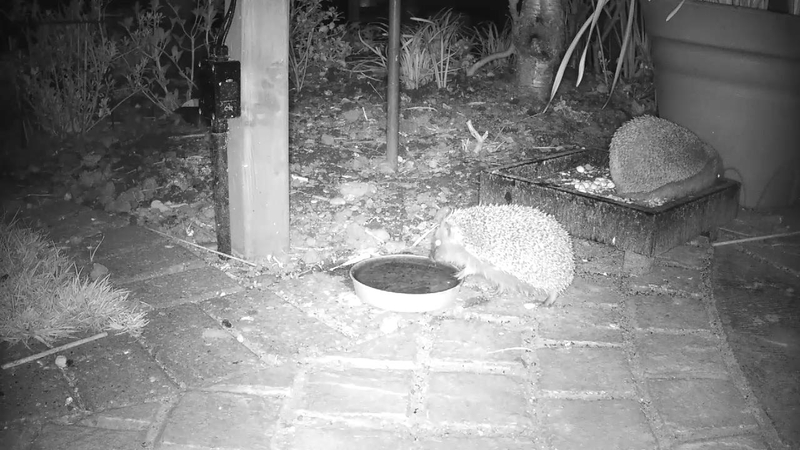 The hedgehogs have been active in the evening, enjoying the food we put out for them. Follow all the updates here on the website, on our Facebook and Twitter pages and by watching the live cameras. All our cameras are High Definition and if you head over to the Live Cameras page you can enjoy an HD stream from one of our cameras as well as watching all the other cameras and catching up with the previous week’s playback using the Live Console.